today one sweet darling in the home had her birthday. the minute I stepped foot through the door this afternoon, she could not contain her excitement about the party later that day. we did a happy dance together. frosting a double layer of chocolate and funfetti. We wrote her name on the cake, and put hershey kisses on it to add a little something special. evidently sprinkles are a little too advanced for this country. and made her wear it. she could not stop giggling as we fitted it on her head. and the table was soon piled high with bright colored wrapping. we all laid hands on her and prayed. and we played games and danced. the girls taught me a nepali dance. but I guess I shouldn't have expected my dancing skills to have magically increased on new soil. the birthday girl turned serious. told us that this was the first birthday party she had ever had. her thanksgiving genuine and real. her joy palpable in the air. a truth severed me deep. 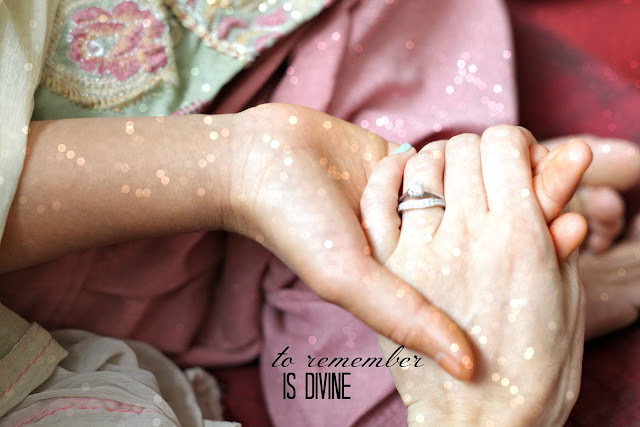 The act of remembering is divine and holy. we allow them the space to feel truly alive and cared for. as the greatest act of remembrance was on that cross, when Jesus remembered you and me. and as Abba remembered us, we LIVE. it's funny how little acts of remembrance, like a birthday party, remind others how much they are valued and cared for. and life-giving thing to do. **as a disclaimer, I wish I could show you all the beautiful faces of these girls. They would bless your socks off. However, for security reasons and out of respect for them, I won't be posting any direct pictures of them...mostly just feet and hands, etc. But even then, I think you can just sense their radiance! such beautiful thoughts. :) praying for you guys. You can ABSOLUTELY sense their radiance! Such a beautiful post! I love how you are being the hands and feet of Jesus and celebrating their beautiful lives! this is so beautiful. love love love you. Beautiful. Brings tears to my eyes that y'all get to have a part in showing these beautiful girls their worth and who it's found in! So glad the party was so much fun for her!!!!! Just reading your words make me smile. I always get excited that you've written a new blog post as it provides just a small glimpse into what you're experience in Nepal. Praying for you and those beautiful and radiant girls over there. love this, dear Katie. so so blessed to hear of how God's showering his love on these precious girls through you and Kevin. thanks so much for sharing. love you! Oh so lovely. You are lovely. This post is lovely. Those pictures are lovely. This made me smile so so much! I'm glad you are radiating God's love to everyone there Katie! You're a true inspiration to me. This is my favorite post. I'm going to be thinking on this, remembering this for a long while...I'm glad you and Kevin got there and are already doing things God has planned. Here's to birthday cakes, new friends, and even that black lung of yours! Much love to you, my friend. This is the best post! It is so true that remembering a little detail about someone and showing them that they are cared for and valued is one of the greatest gifts. God is already using you in incredible ways in over there! What a joyful post...I love this! Beautiful Katie. It is something so simple...delighting in the life and joy of another person...and so necessary!! What a lovely way of bringing joy to another person...and receiving joy at the same time! This is probably one of my favorite posts of your yet! You had me tearing up at the magnitude of this truth =) Keep doing what you do Katie! The Lord is using you mightily, even in the smallest of ways! this is my favorite post you have ever written. what a sweet memory you were able to be a part of and how encouraging to remember the joy of remembrance! Oh, I have chills :) good ones haha. This is so amazing and breathtaking, even just to read. I can't even imagine the joy this young woman felt as you all celebrated her on her special day. What a lesson in being thoughtful and selfless, giving to others, and how rewarding it is to see others in their happiness :) Thank you for sharing this Katie! I love that you prayed at the beginning of the party and blowing out candles. Me and my husband are building our family traditions and I have said I want to our friends to gather around and pray during the festivities. So special! Apparently it CAN be done?! Happy birthday to that precious girl! Just found you through Glorious Within. Can't wait to read more about you, newest follower! ahh even without seeing these girls faces, in your words, i can totally sense their radiance! what a blessing it must be for them to feel honored and remembered. this brought tears to my eyes. what an incredible gift to be a part of her special day. i'm late, but I just want to say I LOVE this post. I work part-time at a group home for teen mom's. Many of which had never had a birthday party until we threw them one. And so it impacts my heart to see other people loving on these kids. Like makes my heart overflow.